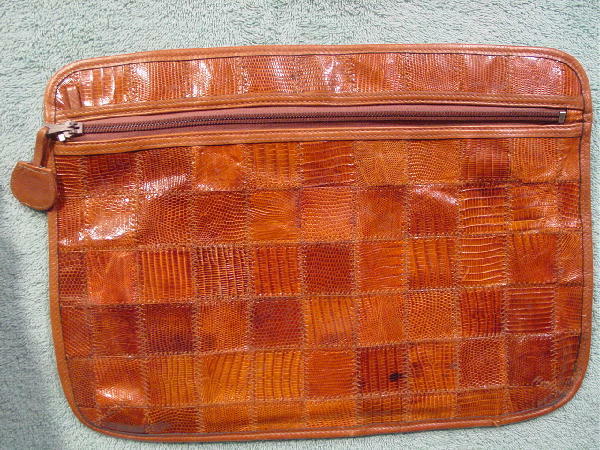 This vintage handmade clutch purse has a patch work design pattern of squares of snakeskin sewn together. The upper and lower corners are rounded. It was made in Argentina by Ronora, and one of the interior tags says ART 1436. The front and back both have side to side upper zipper openings with leather pulls. 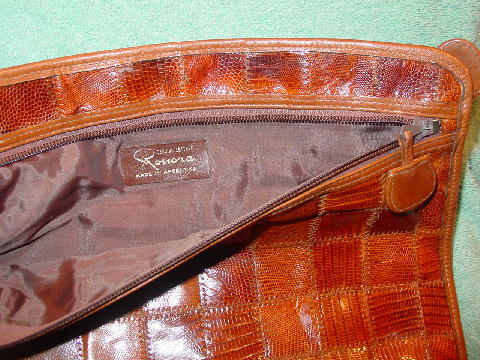 Both compartments have brown synthetic fabric linings. 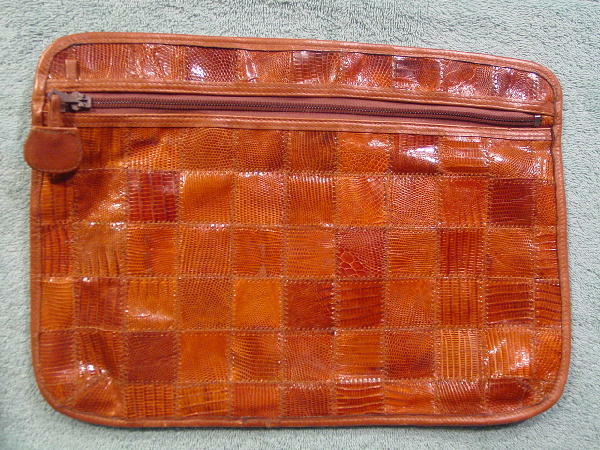 The snakeskin squares are in various shades of brown in various size scales. The back side has some dark brown colored scales near the bottom.